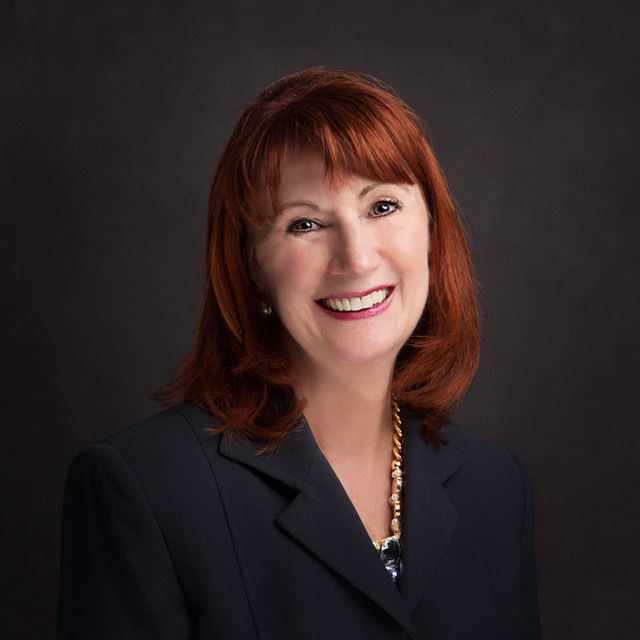 The Rotary Club of Edina will welcome Diane Cross, CEO of Fraser, as program speaker at the Thursday, Aug. 9, meeting. Cross will share the story about Fraser's making a difference in our community. New member Dr. Sita Dash will be officially inducted into the club at the meeting. Congratulations and many thanks to these members for their generosity. Rotarians and family volunteered to hand out Deterra packets (which are a safe way to render drugs inactive, allowing people to easily dispose of drugs) Tuesday, Aug. 7, at Night to Unite parties across Edina. We partnered with the Edina Police Department to deliver the packets. Thank you to all the volunteers who helped out, and to Fred Sylvester for coordinating the event for our club. Intrepid and Fabulous 50th & France Team (Joe Arends, Katy Campbell and David Clynes) set out last month to find donations for the 2018 Rotary Club of Edina Fundraiser & Gala Silent Auction. Using all their "talents," these volunteers share their strategies and snacks. 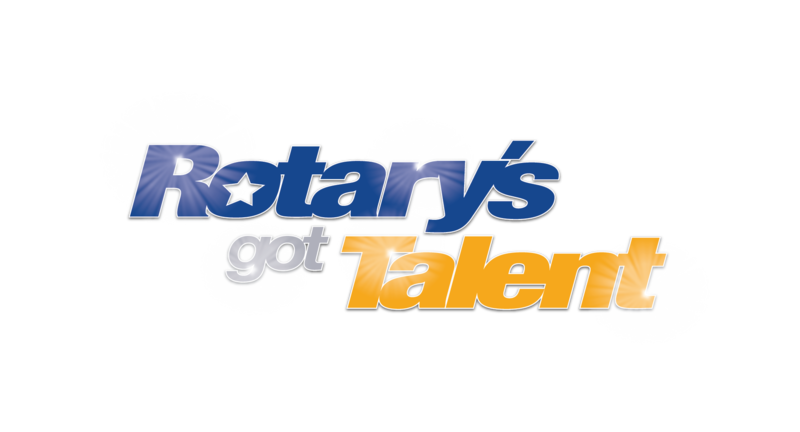 Don't forget—the annual Fundraiser & Gala "Rotary's Got Talent!" is Saturday, Sept. 29! Be on the lookout for your invitation in the mail soon. And contact Tom Bach or Jennifer Hendrickson about donating a Silent Auction item! WHAT: Rotary Race Day at Canterbury Park will raise money for PolioPlus! INFO: $10 ticket gets you admission into the park, a hot dog and soda. Organized by Rotary District 5950, 100 percent of ticket sales will benefit PolioPlus! TICKETS: Buy your tickets at this week's Rotary meeting, Aug. 9. Contact Social Director Renee Harberts or TRF Director David Clynes with questions. INFO: We have 48 spots reserved at the newly remodeled Brookview Golf Course for this fun family event! Cost is $14 per person. Click on the link below to find out where to send payment. REGISTRATION: Go here. Please send in payment after registering. INFO: Our club, along with other District 5950 Rotarians, are encouraged to join the Rotary Rally for Alz team and join us for the Walk to End Alzheimer's! Sign up to participate, donate to the team, or do both! Watch our video for more info! REGISTRATION: Go here to register or donate. Contact Rick Carlson, Brad Hepp or Jennifer Hendrickson for more info. 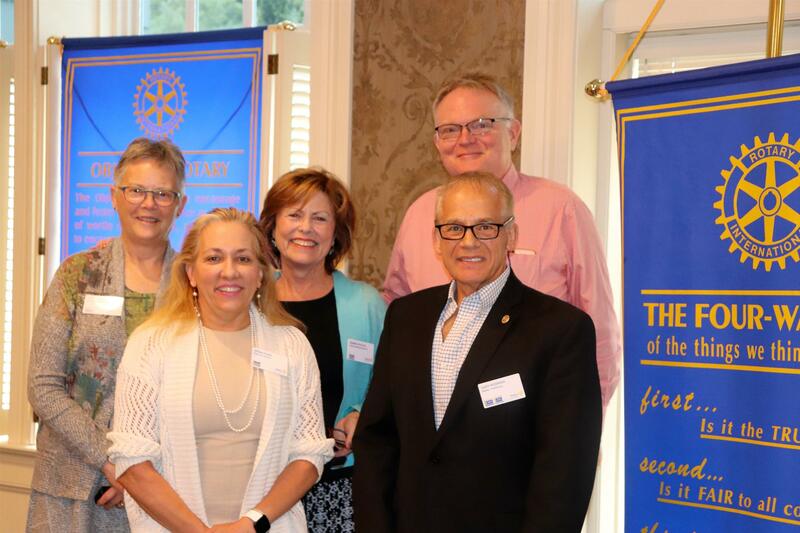 The Rotary Club of Edina and the Edina Morningside Rotary Club are embarking on starting and supporting a Rotaract Club. Rotaract clubs consist of young professionals between the ages of 18 and 30. Starting a Rotaract Club is one of five of our clubs visioning goals. It also is Rotary International President Barry Rassin’s goal this year is to expand Rotaract globally and strengthen the transition from Rotaract into Rotary. The first Rotaract meeting with be at 6 p.m. Wednesday, Sept. 12, at The Mezz in the Lunds & Byerlys on France Avenue in Edina. The meetings will be the second and fourth Wednesday of the month, starting Sept. 12. We need Rotaract members. Please contact Sam Thompson at sthompson@transitionsib.com if you have friends, family, neighbors or work associates that would be interested in joining our Rotaract Club. Thank you for your contribution to Rotary's Annual Fund. By making this gift, you're supporting positive change in your community and communities around the globe. with educational resources, your support helps Rotarians take action against the world's most pressing humanitarian challenges. Your gift is being transformed into life-changing service projects. As the global landscape grows ever more complex, your contributions ensure that Rotary clubs can carry out our mission of advancing world understanding, goodwill, and peace. 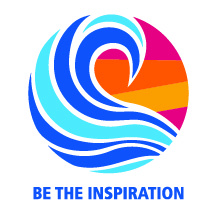 Thank you for making Rotary's mission a part of your own. The program speaker at the Aug. 2 Rotary Club of Edina meeting was Steve Irving, a former jockey and now racing ambassador at Canterbury Park in Shakopee. His visit coincided with our club selling tickets to Rotary Race Day at Canterbury, to be held Aug. 10. The $10 tickets are still available, so don't hesitate to purchase one or two or more. All proceeds go to The Rotary Foundation's PolioPlus. 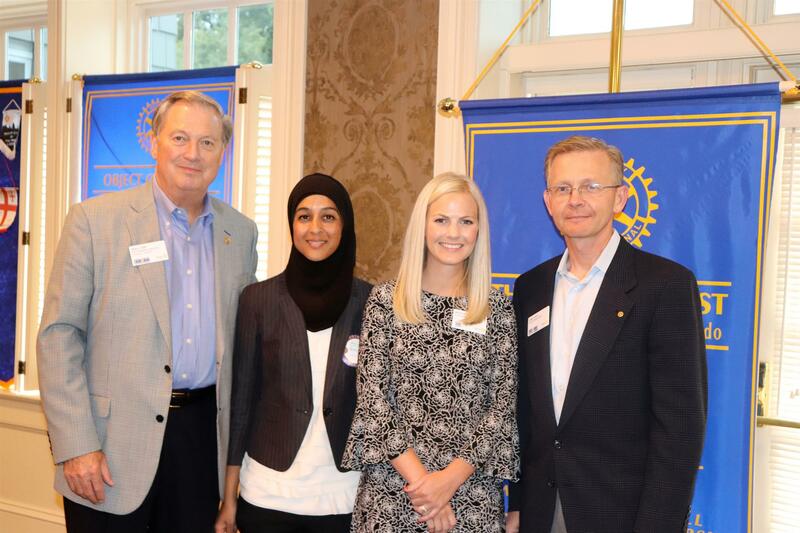 Two new members—Bridget Hallstrom and Afira Hasan—were officially inducted into the club by Past President Brad Hepp. Greg Yoch was sponsor to both new members. Wade Thommen, a member of the Social Committee, gave us a recap of what the committee has planned for this Rotary year. First up is Rotary Day at Canterbury (see above) Aug. 10, lawn bowling Aug. 29 and the Walk to End Alzheimer's Sept. 15, followed by Fall Fireside Chats in October. A "dance off" was held to find someone to move on to the talent portion of the 2018 Edina Rotary Foundation Fundraiser & Gala. Many Rotarians took part and danced their way into our hearts, if not into the finals. 2018 Fundraiser & Gala tickets and info! Click below! The Edina Country Club will serve grilled Reubens or chef salad at the Thursday, Aug. 9, Rotary Club of Edina meeting. The Rotary Club of Edina's Administrator, Jennifer Garske, works part time, mainly on Wednesdays and Thursdays. She attends the Rotary meetings on Thursdays from 11:45 a.m. to 12:45 p.m. to answer questions. Contact her at jgarske@EdinaRotary.org or leave a message on the Rotary cell phone at 612-875-3109.